New features allow users to store, share and simultaneously search their cloud, computer files and the internet all together. Social Cloud Storage is a new app category on the internet that allows users to store their content and either keep it private or share it for the benefit of all users. 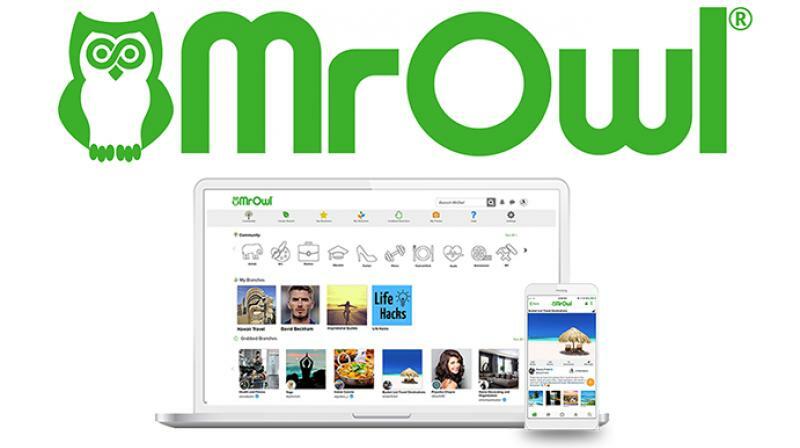 MrOwl, a Social Cloud Storage platform, has announced the rollout of free, unlimited cloud storage for content that is shared with the world. MrOwl gives users the capability to more simply store their files once and search them infinitely from anywhere at any time. With just a few clicks, MrOwl users can upload gigabytes of data that is automatically organised, shareable and searchable. By providing one platform that allows users to access their digital lives all in one place, MrOwl’s unlimited free cloud storage will help solve many of consumers’ internet search frustrations. Social Cloud Storage is a new app category on the internet that allows users to store their content and either keep it private or share it for the benefit of all users. Any information users choose to make public can get found online without having to build a website. Plus, users receive free, unlimited cloud storage for files that are made public for the benefit of all users. MrOwl users can connect and collaborate with communities who share their interests and discover what others have shared like never before. Free, unlimited cloud storage – For uploaded files that are shared with the world. Unique bundles of information – MrOwl “branches” can be made with content contained in other cloud storage platforms, including documents and media files as well as links to internet sites. When users search these “branches”, they search the words inside documents and web pages simultaneously. This is truly a unique search. Incremental pricing for private cloud storage – Private storage includes up to 10GB of free storage. Paid packages available with additional storage, increased user privacy, and the ability to view content free of advertisements. MrOwl believes that search is currently incomplete, as there is much more to search than just websites on the internet. Today, half of the world’s digital information is not accessible by search because it lives in fragments on personal computers, work computers and various cloud storage platforms. MrOwl’s Social Cloud Storage helps solve this problem. By allowing users to store and share items residing on platforms not accessible by traditional search engines—i.e., computers and other users’ cloud storage platforms —Social Cloud Search makes previously unsearchable information searchable. MrOwl users can now easily search the cloud, their computer files and the internet simultaneously because of the cloud, your computer and the internet belong in one search box. To find out more, go to MrOwl.com or download for free from the iTunes or Google Play app stores.